Take a trip out to The Wicklewood Cherry Tree and you will find a warm welcome awaits you. Not quite the modern thinking of what constitutes a traditional village inn � more exactly what the village pub did and still should provide. 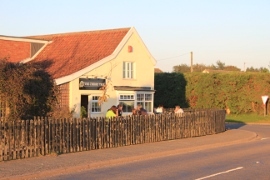 The Cherry Tree is owned and run by Buffys Brewery, a leading Norfolk microbrewery, and, as you would expect, a fine choice of their well kept ales are on offer here and there is always a choice of four to have a go at. 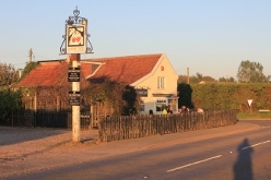 However, The Cherry Tree is very much a pub that "does food" rather than a restaurant with a bar. Therefore, a true pub atmosphere is what this place is about and you will be accepted into the "fold" immediately should this be the drinking experience you are after.